Call of Duty: Black Ops fans, if you want all the pieces of flair for your PC, Asus has your back. The company has unveiled just about every imaginable thing you can think of to coincide with the launch of Call of Duty: Black Ops 4 on October 12. Besides a keyboard, mouse, monitor and mouse pad, Asus is also offering a Call of Duty: Black Ops 4-branded monitor, PC, motherboard and router. Yup. A router. No, we're not making that up. 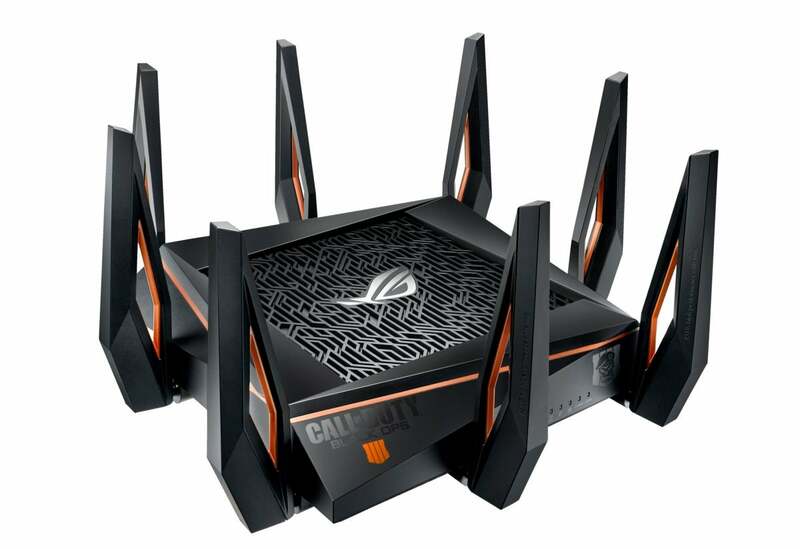 You're not a superfan if you don't have a Call of Duty: Black Ops 4 router. No word on whether it blocks packets for Battlefield V.
If you really want to get the attention of your Battlefield V hater friend, you can even get a CoD: BLOPS4-branded GeForce RTX 2080 Ti card. Sure, the game will apparently run just fine with a GeForce GTX 660 and Core i5-2500K, but you can't trigger your Battlefield V friends with that old hardware. 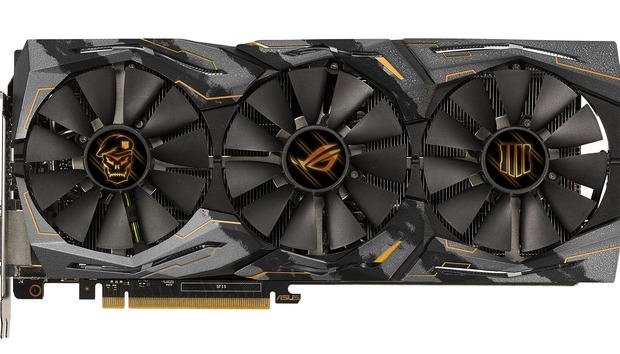 Hater's gonna hate: This Asus STRIX RTX 2080 Ti will have your Battlefield V friends triggered. 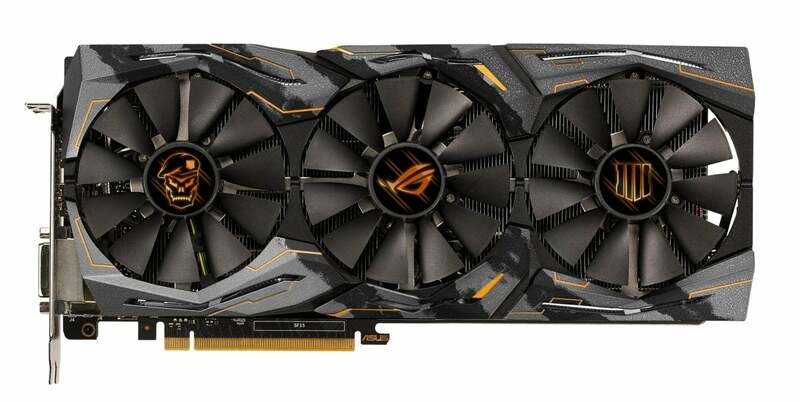 Those who don't want to add CoD: BLOPS4 pieces of flair themselves can also drop the cash for a full CoD build from Asus in the ROG STRIX GL12 Black Ops 4 EditionRemove non-product link. 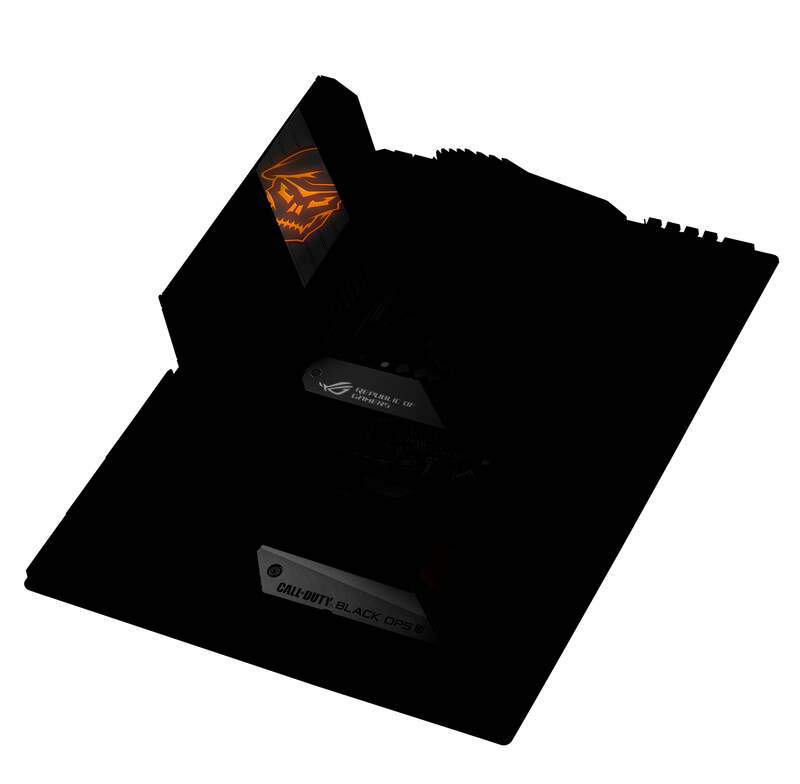 The STRIX GL12 Black Ops 4 Edition includes an overclocked Intel Core i7-8700K and GeForce RTX 2080 along with emblems, orange slashes, and COD LED lighting. And yes, you do get a free copy of the game when you buy the computer. The STRIX GL12 Black Ops 4 Edition is based on a factory-overclocked Core i7-8700K and GeForce RTX 2080. 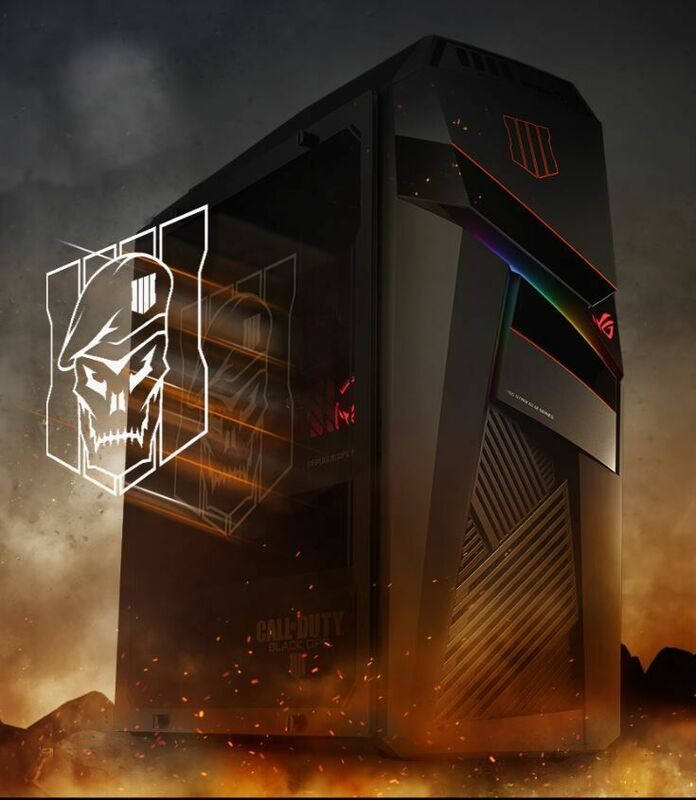 "Intel collaborated with Activision to help optimize the PC version of Call of Duty: Black Ops 4 for PC gamers, and worked closely with ASUS and Republic of Gamers to create products, like the ROG Strix GL12, that take advantage of the latest Intel Core processors to deliver the premium performance that gamers expect," the release said. We're asking Asus, Intel, and Activision for clarification on what the optimizations entail but there's one last mystery with the new CoD: BLOPS4 worth noting: A nearly blacked-out Asus motherboard. This isn't bad photography either, but simply editing to make it a, well, black operation. This new Asus motherboard is such a black operation you can't even see it.